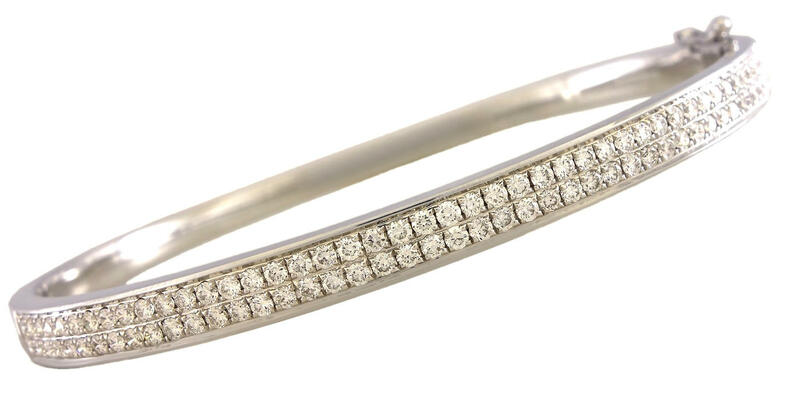 This lovely diamond bracelet is built from 18k white gold. 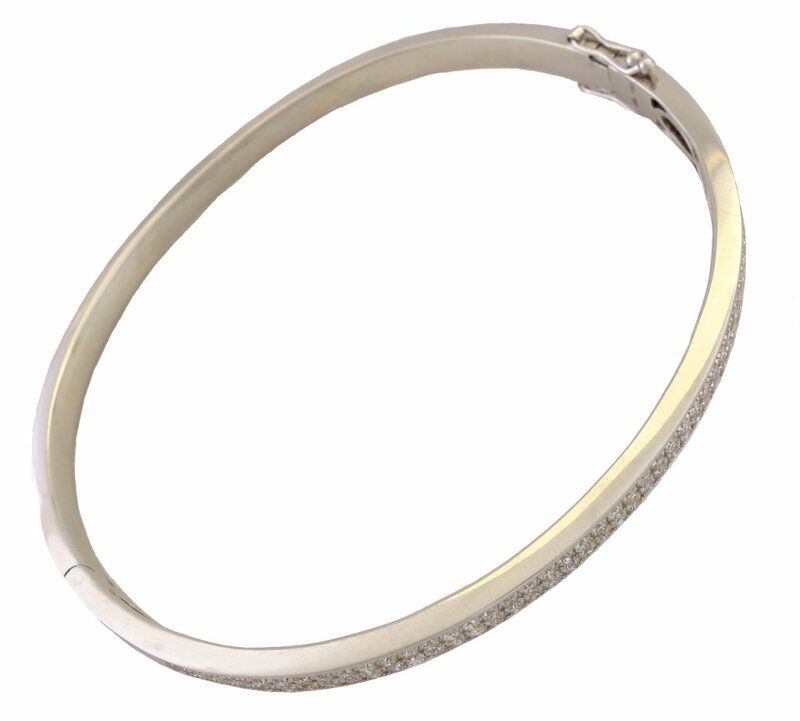 This bracelet shines form every angle and is bound to get people's attention. The diamonds in this bracelet have been set by hand by an experienced setter using a technique involving a microscope for high precision.